We offer a little more than just Self Storage, we also have secure compound/yards to let. Ideal for builders, scaffolders, plant hire gardeners etc. It is the perfect place to store tools, equipment or machinery. 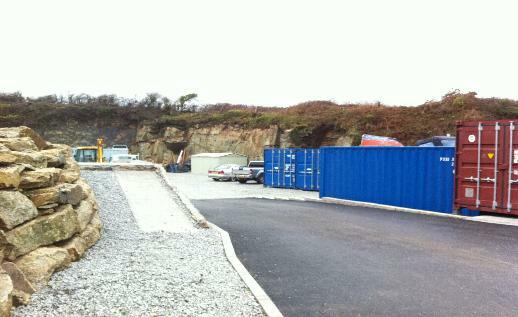 Located within our secure yard and surrounded with 8 foot high wall 30foot quarry face, covered by CCTV you can rest assured that your valuable goods are safe. Our yard is located close to the main road making access to and from your yard as simple and as hassle free as possible. Why not combine a compound/yard with a storage container for inside and outside storage? or any other plant equipment give us a call and we will do our best to accommodate you.